Early this summer, I forgot to take my antidepressants for three days in a row. Normally, a two-day memory lapse would throw me into the pit of deep darkness. This time was different. I thought maybe I had reached a point where God had answered my prayers—20 years of prayers—that I might be able to live free of depression and medication. I would never, ever recommend what I did to anyone. In fact, I chastised myself, knowing I ought to have known better because I am, after all, a clinical psychologist. Nevertheless, three days turned into four. I contacted my doctor, a Christian, and explained what I was doing. She was cautious, even doubtful. I said I’d be careful and keep in touch with her. Four days turned into five, then, six, then seven. Perhaps the miracle I had wanted and waited for had happened. Darkness blew over me like a fast and furious summer storm coming in from the west. Maybe I hadn’t noticed the subtle symptoms of slight melancholy, of low energy, of losing interest in things I loved, of not feeling love for those closest to me. How could I have missed these signs, again? I’d tried two times before to rid myself of medication. All I know is that by the tenth day with no antidepressants feeding my starved brain the neurotransmitters it needs to keep me functioning normally, I crashed. And my crash wasn’t a 5-mile-an-hour bumper bang. It was a 65-mile-an-hour head-on-into-cement-embankment kind of crash. The “airbag” saved my life—my doctor, my family, and a cadre of close friends who’ve known me and walked me through the dark several times over the past twenty years. This time, my family and friends listened to me describe what Hell was like—for me. I don’t mean to sound flippant. I’m not Jesus. And I know what I’ve experienced doesn’t even come close to what He experienced. Yet, I’ve never experienced such pain and such darkness as I did a couple months ago. Thankfully, I knew I’d be “resurrected” within ten days after starting antidepressants again. I respond to medication easily and quickly. Still, I knew I was in for some awful days and I needed the help of my doctor, my family, and my friends. During my recovery, I was stuck in bed mostly because I was too physically weak to even walk. Breathing was hard. You see, depression—true, clinical depression—isn’t just an illness that affects the brain. It’s an illness that affects every part of you—body, mind, and soul. So, was there anything else good that came out of my “descent into hell”? Yes. So much. So much great good. When you’re horribly sick and desperate, you’re in the perfect place to discover who really loves you, especially who loves you in action. 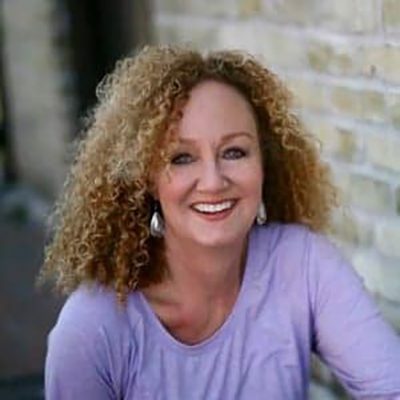 My family—my dear husband and three grown kids—loved me so well, never shaming me for trying to live medication-free, helping me by taking on daily duties I define as mine, cooking me meals and making sure I was taking care of myself to the best of my abilities, then filling in the blanks. They checked on me often and assured me they loved me. They were Jesus-with-skin-on to me. Oh, how I have been blessed! And then, there were/are my friends. My closest friends weren’t scared of me and my depression. They gave me the time and space I needed to heal. They prayed for me, sent me cards, texted me, waited until I had enough strength to talk on the phone or visit in person. They kept telling me they loved me, even in my darkest, most desperate place. They held for me the faith I lacked. And then, there’s my doctor. She calmly and kindly suggested I never try to go off antidepressants again. She told me she’d remind me of the “hell” I’d descended into if ever I should think to give no medication a go again. Given that this was my third try in twenty years and given how horribly sick I became, I needed no convincing. Being dependent on medication is a humbling way for me to be dependent on God—on His provision—and not to judge how He provides, regardless of what some others in this world might think, especially about those of us who struggle with clinical depression. Especially Christians. Sadly, there’s still stigma in the world and in our Christian communities about mental illness of all kinds. Sadly, this is the main reason only a third of people with serious depression and/or anxiety ever seek treatment. Even more sadly, not seeking treatment is the reason depression and suicide are at an all time high, not only in our country but in the world. My hope in writing today is to put myself out there as an example and say that depression (and all mental illnesses) are illnesses. People with cancer aren’t crazy. People with diabetes aren’t crazy. People will paralysis aren’t crazy. We who have depression or bipolar or anxiety disorders aren’t crazy. We’re sick and in need of good treatment, both medically and relationally. So, here I am to worship my God who has brought me through some horrible kind of hell and given me good health, once again, in His perfect way, which just happens to be with medication. I hope and pray that anyone struggling with depression or anxiety or bipolar illness would at least consider how medication might help lift you out of the deep, dark pit (or pull you down from the skies of potential crash) you can’t seem to claw out of (or down from) all by yourself. Sometimes drowning people pray for God’s deliverance. And when He sends a boat, they refuse the rescue and keep praying for something else more acceptable to them (and others). Sometimes, humbling ourselves and accepting what God provides—even when others disdain—is the most Christ-like thing we can do. This blog post is not intended to diagnose or medically advise. If you are experiencing any symptoms you think might meet the criteria for clinical depression or another mental illness, please seek the advice of a medical doctor. Heather and her husband, Todd, are parents of three adult children adopted from Russia with multiple, invisible, permanent special needs. They live on 44 beautiful, rural acres in Wisconsin. Heather’s greatest desire is to help other chronic emotional sufferers understand that no matter how wounded, we are passionately loved by God, invited to walk and work with Him to help others know of His love, salvation and constant provision, for He works best through those who know their brokenness and emptiness, through those who let Him in. 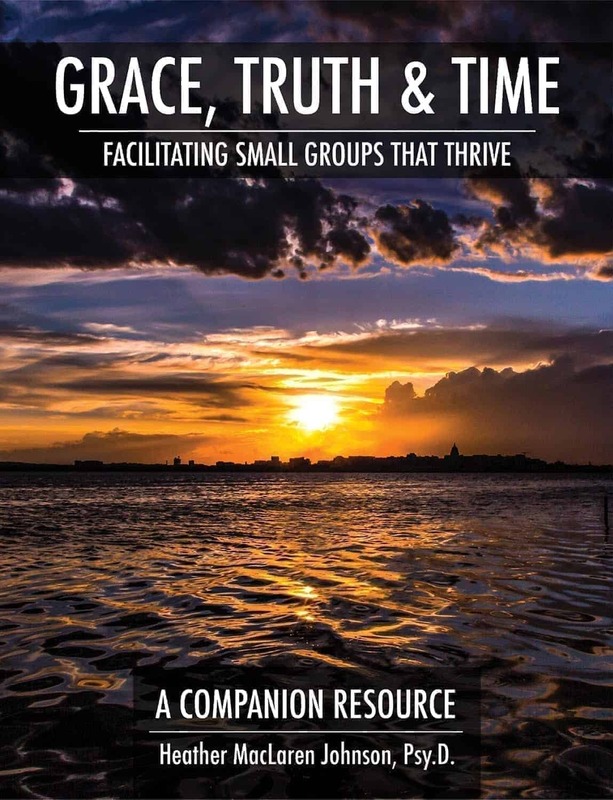 Heather blogs at: http://www.truelifewithgod.com/ and is the author of Grace, Truth & Time: Facilitating Small Groups that Thrive. Oh how true these words are! I have experienced the same when sincere friends convinced me that God did not want me to rely on medications for bipolar disease. I know now that I DO rely on Him to get me through each day, and that the medications are an assist to help me function well. Like a disabled person would need a walker or a wheelchair. Thank you for this encouragement and comfort!